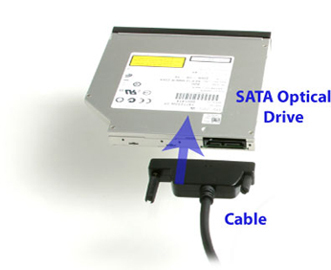 The easiest and simplest way to attach an internal SATA optical drive externally to laptops via the USB port. This is the perfect solution for those that are using the notebook's optical drive bay to add a 2nd hard drive. You can then use the cable to easily attach the optical drive.